As I mentioned earlier this week, it’s been more than 4 years since I’ve done a craft show. The Reiman Gardens show allowed applicants to pick an indoor or an outdoor booth. I chose indoor! I won’t have to worry about the weather. But I am needing to develop some new display ideas. Here’s one new one I took to the Bead & Button show a couple weeks ago. I took a fat snake of Sculepy Ultra Light, not tinted or blended or anything and pressed it into a serpentine shape. 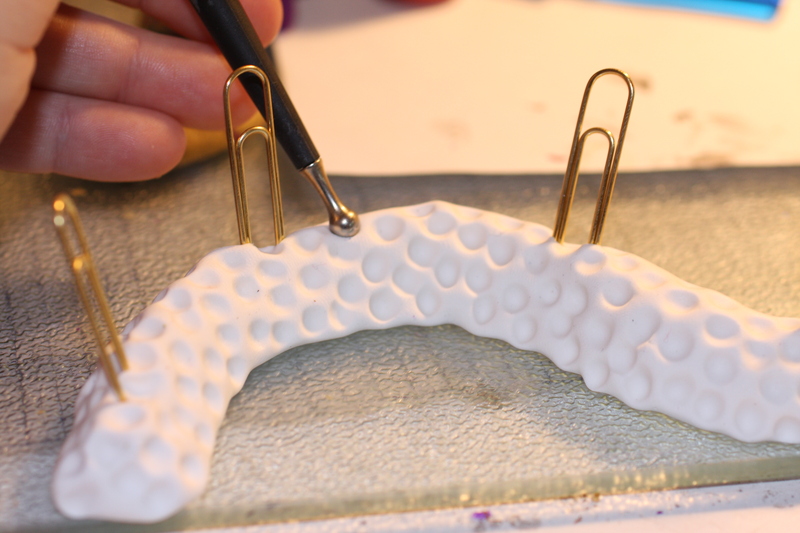 I inserted 7 or 8 large gold paperclips (Staples) and textured the whole thing with the medium ball stylus tool. 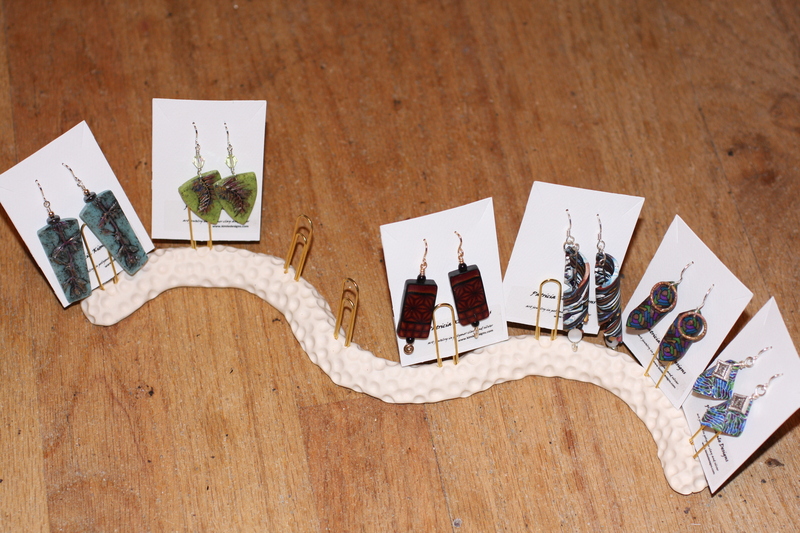 Easy earring display! Now to come up with some necklace pieces to match….